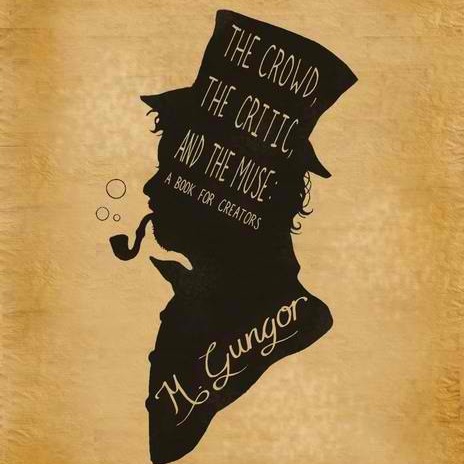 It is with delight that I announce that I’ve been picked to be a recipient of one of 50 pre-release manuscripts of Michael Gungor’s forthcoming book “The Crowd, The Critic, and The Muse”. This means I get an advanced look at the material and will be publishing a pre-release review of the book. I will be scouring this piece of literature and enjoying, analyzing, and reflecting on what Michael has to say about the arts and all else contained in life (if indeed, there is). I’ll have a review completed for release by October 9 (the official book release date). The book comes out of Michael’s wrestling match with the “Christian music” establishment as a person whose musical was first “too trite” and then “too different” to succeed in that genre category. Michael has a lot to say about faith and the arts and last year gave a Q&A prior to each tour concert. I will not be releasing any details about the manuscript until I release the review. For more information, visit Gungor’s site. It’s difficult to imagine that book being anything short of incredible!